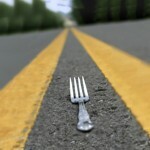 | Restaurant Outsource Accounting Destination, Inc.
Perhaps you’ve reached a fork in the road regarding your accounting needs. In this case it is best to take the R.O.A.D. most traveled. We are the most experienced independent outsource provider of financial services for the restaurant industry. Our principles are certified public accountants who specialize in serving the unique needs of the foodservice industry. Every day restaurant owners throughout the country rely on us to manage the logistics and scrutiny needed in processing their data. We take our part in your success seriously. We can provide selected services to supplemental your bookkeeping department or act as your CFO, managing all of your accounting concerns for you. We understand that this is an economic decision for you. We will lower your accounting cost as well as maintain a reliable understanding of how you do business. As a restaurant owner, quality service is your number one priority. To ensure your customer’s satisfaction and continued patronage, you demand professionalism and enthusiasm from your employees. Why settle for anything less in your financial services? The bookkeeping, accounting, tax and management consulting professionals at R.O.A.D., Inc. share your vision as well as your concerns. Above all, we are dedicated to ensuring your business and financial needs are met on time, and on budget. When people think of accounting professionals, they think of a few specific services, bookkeeping, tax preparation and general services. They consider their professionals someone to call for answers to specific questions, and someone they can trust to handle their work efficiently and accurately. We provide a full-range of services to choose from.